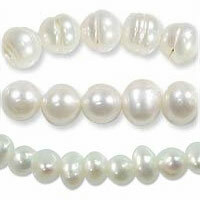 JewelrySupply carries a fantastic assortment of beautiful pearls from around the world! 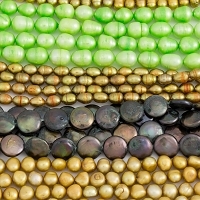 Rice Pearls, Freshwater Pearls, Cultured Pearls Seed Pearls, Saltwater Pearls and more, in every color of the rainbow! 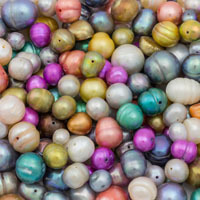 We also feature a wide selection of Pearls in exotic shapes, such as Coin Pearls, Keshi Pearls, Biwa Pearls and Button Pearls. 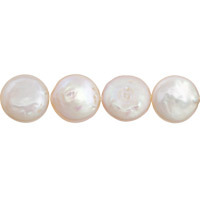 Our Pearls are graded on an A, A/B, B, B/C or C quality rating. 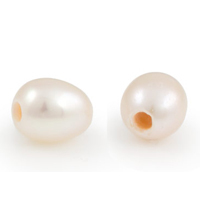 All measurements are done by the width of the Pearl. Our Pearls are strung on temporary strands and should be re-strung before wearing. 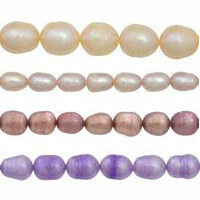 Please see our selection of Silk Carded Bead Cords to find a color right for your selection of Pearls. Cultured pearls - created using the same way that natural pearls are, but in this case the foreign object(s) placed inside the oyster was done by man. Raised in a controlled environment, this type of pearl makes up the majority on the market today. Saltwater pearls - grown in saltwater oysters. One pearl is grown in each oyster every two and a half years. Far more expensive than the freshwater variety. Some examples of saltwater pearls would be South Asian pearls, the very rare (and expensive!!) Australian pearls and the mystical Tahitian pearls. Freshwater pearls - grown in freshwater mussels. Freshwater pearls are much smaller and less expensive to harvest than saltwater pearls. One mussel can yield upwards of twenty or more pearls in each harvest. The turnaround time for freshwater pearls is much shorter as well, with only one and a half to two years to grow each "crop" of pearls. Keshi pearls - many different types of marine mollusks and freshwater mussels can produce these types of pearls. Small in size, these pearls are formed when an object that is planted into the mollusk is rejected, thus resulting in a "pearl" that is completely composed of nacre. 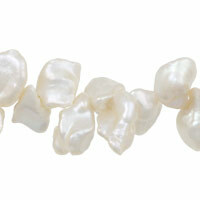 Keshi pearls will have more luster than other pearls, and have a very organic shape.